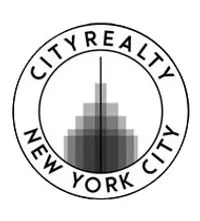 In early 2012, Gary Barnett's Extell Development Company picked up a contiguous trio of lots bordering the west side of Dyer Avenue between 36th and 37th Streets. Now, a recently-surfaced rendering from the firm BARCHs gives us an idea of what could rise from the through-block assemblage. 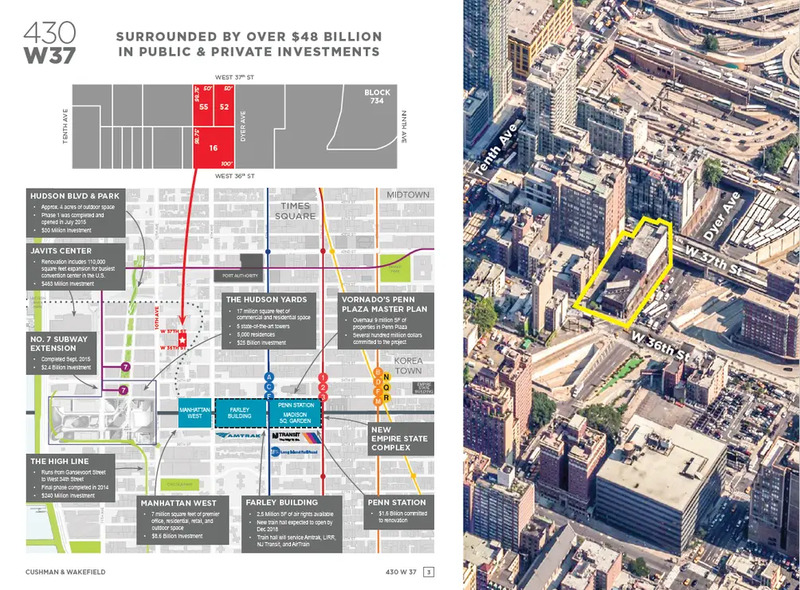 Situated in earshot of Hudson Yards and Manhattan West, the lots are addressed at 430 and 434 West 37th Street, and 429 West 36th Street. A 2012 article from The Real Deal says Extell purchased the site from Central Parking System for a total of $44 million. The underutilized parcel currently holds a surface lot and a pair of low-slung warehouses. BARCHs' description says the project would rise 32 floors and accommodate 470 units (presumably rentals), 80 of which would be designated as affordable housing. The facade would be composed of brick, metal, and glass, and the rendering shows the varying exterior treatments would fit together like a jigsaw puzzle. Common amenities would include a fitness center, a rooftop garden and parking for 150 cars. 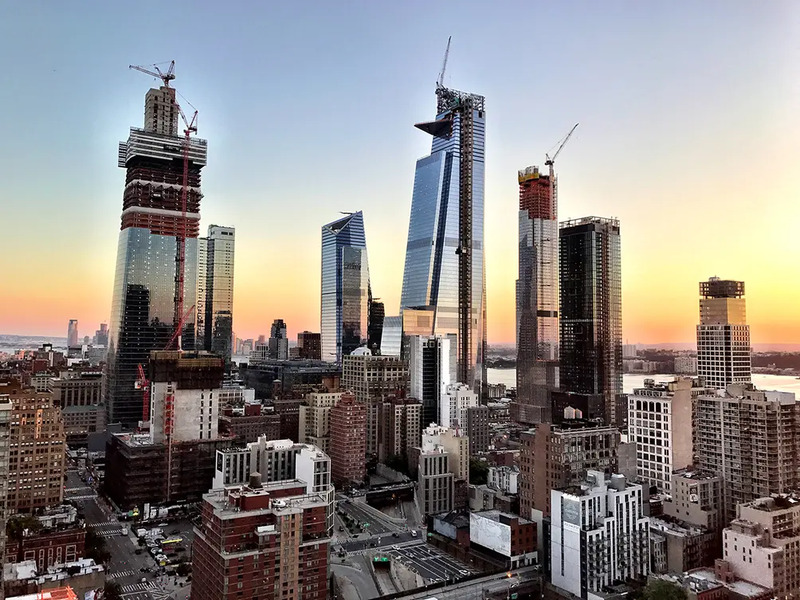 Residential demand in the area is expected to grow as several enormous office towers begin to come online. 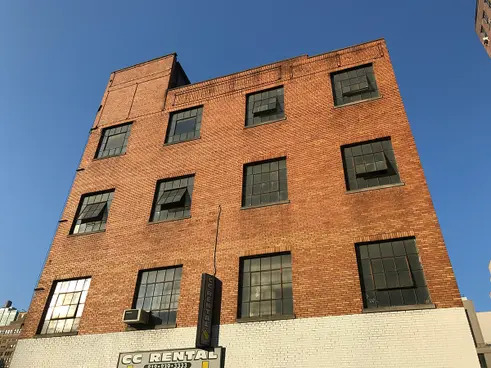 The site is a few doors down from the Baryshnikov Arts Center and south of the newly-built rental Matena, where studios are going for $3,640/month. South of the site is a pair of newly-opened rentals called The Lewis. There, studios start at $2,880/month, one-beds from $3,790/month, and two-beds from $6,009/month. This pricing reflects a special offer of two months free rent.